One of my favorite Personal Finance books has to be “The Millionaire Next Door” which worked well to dispel any myths that I might have about consumerism being synonymous with wealthy. 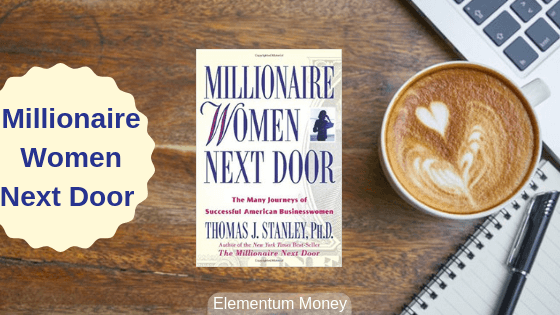 On my last library visit, I chanced upon “Millionaire Women Next Door” by Dr. Thomas Stanley who was one of the authors of the fore mentioned book. Needless to say, it made for a perfect book to be talked about today. 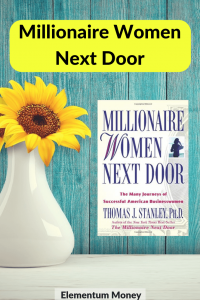 While some of the content had predictable overlaps with the universal “Millionaire Next Door”, there were some nuances very specific to the gender as well as a focus on self-employed women. Following the initial book, the basis of talking more about businesswomen lay in the fact that research shows that self-employed people are more likely to generate higher income than salaried persons. To the uninitiated, “The Millionaire Next Door” became popular by breaking the myth of consumption equalling wealth. Instead, it highlighted the fact that most millionaires live in middle-class neighborhoods and pretty much blend into it with most neighbors unaware of the level of wealth possessed by these guys. This book details out a similar mindset with a few anecdotes, especially through a news report about a lady who died giving $2 Million to a local charity and some money to books. Even with their giving, these women choose the local small key options of charity which would appreciate the donation more and also give more control to their contribution. There are two kinds of people. The first kind is those who keep rueing the past, digging it up and using it as an excuse. The other kind refuses to let the past pull them down, choosing to focus on looking forward into the future. For me, this was almost a game changer of sorts. Only 19% spend time thinking of the way things might or should have been in the past. Their forward-looking view can also be seen through a clearly defined set of daily, weekly, monthly, annual and lifetime goals. This forward-looking attitude and clear goal setting have definitely gone a long way in contributing to the success that these women have tasted. The author states that most of these women didn’t really stand out in school and neither were they very memorable per se. If their teachers were asked today, chances are they wouldn’t be recalled. A lot of them do not have great SAT scores to boast of either. They were also not bound to rate themselves too highly on the intellectual scale. Initially, when I read this finding, I was a little flummoxed. But the more I thought about it, it dawned on me that a probable reasoning is that if you are always recognized as gifted or predicted to succeed, recognition becomes an important part of what you need to function. A lot of these businesswomen might have the wealth, but it’s mostly been built in a quiet, persevering and hardworking manner where appreciation did not necessarily have to play a role. Another aspect is that standardized tests are not always the best parameters for future success, which shows from the facts in the book. Much like Millionaire next door, this was one of the key actions or habits noted by Dr. Stanley among the respondents. The most ever spent section was again very similar to show that these women were not very high spenders on flashy markers of success or status, be it watches, business suits or cars. They are regular women easily melting into the crowd. They are also very well aware of how much is spent on the major consumption categories. This knowledge gives them control over a very important aspect of their lives – money. I have often written about how imperative I believe it is for women to invest. There are research backed findings to show vital differences between the two genders with women proving to be better at it in the long run. Not only are they more patient as investors with 81% women sell a stock from their portfolio four or fewer times a year, but they are also open to more of the fee-based professional advisory services than men who would rather go for the adrenaline rush of higher returns. The book brings out the fact clearly about successful millionaire women being better investors and using their money efficiently to create wealth. Like the men profiled in the earlier, book, these women were well above average when it came to giving. Most of the respondents gave at least 10% of their income to charity. This is one of those findings which is not very surprising as generosity begets generosity. Most successful people experience the joy of giving from an early stage of life. This was another fundamental difference stated in this book viz a viz the generic Millionaire Next Door. Relationships and the role of parents or spouse were mentioned only in the positive sense in the earlier book. However, there is a clear demarcation into two categories among the women. Alpha women are those who got a boost to succeed thanks to the nurturing environment provided by her parents and the good fortune of getting a supportive husband. Beta women are the ones who succeeded despite bad relationships – clueless, degrading parents or parasitic husbands. One of the differences in these two categories is the money spent – Alpha women are content with spending lesser whereas the Beta women seem to feel the need to compensate for the bad times in life by being more materialistic. Most of the successful business women profiled in the book also ensured they remained financially independent. Knowing and having some control over your finances is an essential element in success, be it for men or for women. That point is made quite clear by this book. Like it’s predecessor, Millionaire Women Next Door also successfully busts the myths we often hold about wealth and it’s display as well as usage. For anyone looking at handy tips to learn from, this makes for a good read.